Google Duplex, one of the strongest points of Google I/O 2018, continues its journey. This AI can makes phone calls for you and was frighteningly realistic during demonstrations. The functionality initially enabled for select companies and testers will now be deployed to more users. It's official. Google continues to make progress on its Duplex project, with Google Pixel users in 43 out of 50 states receiving the feature. Why "only" 43? Because each state's legislation regarding recorded calls consent is different. This is why Google has not been able to make the functionality available in a few states, at least not yet. Indiana, Kentucky, Louisiana, Minnesota, Montana, Nebraska and Texas will therefore have to wait a little longer. For others, they will be able to use Google Assistant's AI. In practical terms, the service currently allows you to book a table at the restaurant. All you have to do is ask Google Assistant, who will then call the restaurant. Once the reservation is made, a notification is sent to your phone, as well as an update by e-mail and a calendar invitation so that you don't forget it. 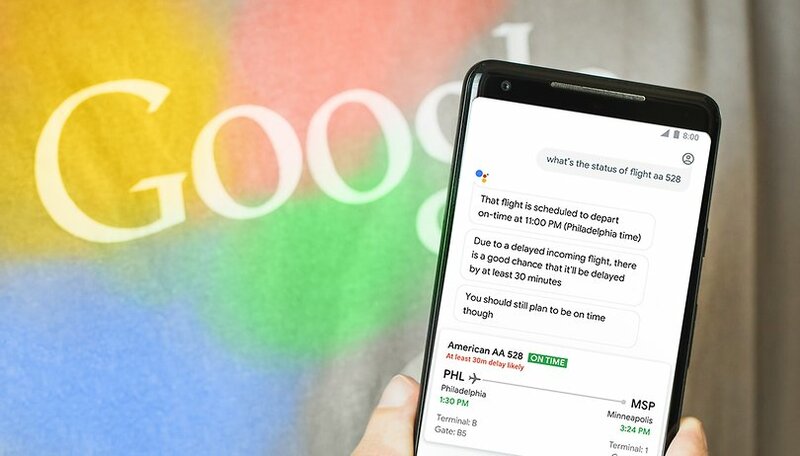 Google promises that in the coming weeks Duplex should arrive on more Android and iOS devices and that its AI should improve over time depending on usage. Because of its character, Duplex immediately raised questions about its ethical and privacy implications. Artificial intelligence posing as a human being is not without some controversy. It remains to be seen whether the functionality will be appreciated and adopted by users. Are you interested in using Duplex? Let us know in the comments. "Artificial intelligence posing as a human being is not without some controversy. " This happens all the time when I call a company. It's almost impossible to talk to a live human being anymore. Press 1 to make a payment, Press 2 to review your account, etc. etc. etc. i so rarely use the phone to schedule things that this is useless to me. I'm interested to hear how this works in the real world compared to the demo they showed under controlled conditions. Duplex is one of the few truly innovative changes to phones in a while. And it has enormous potential for new uses in the future (assuming they get it working). But is it actually ready for use today? I don't know.